If you live in London you’ve probably heard that a massive food festival is about to take over the capital. Yes, we are talking about London Food Month. Organized by the Evening Standard, the London Food Month will start next week presenting a huge variety of food-focused events. The festival will feature an outdoor night market bringing together 50 of London’s best restaurants and street food traders. Also it will showcase another 400 events across the city, including masterclasses, film screenings, talks and cooking demonstrations from top chefs such as Angela Hartnett, Fergus Henderson, Claude Bosi, Dan Hunter, and Michel Roux, just to mention a few. The festival is a must-do, not just for amateur food enthusiasts but also for professional chefs. The London Food Month offers chefs the opportunity to increase their network, discover new products, learn about the latest culinary trends, and help the community. It is a pioneering soup kitchen that will serve lunch each weekday to local guests from underprivileged backgrounds. All meals will be cooked with surplus food provided by food waste charity The Felix Project. The Refettorio has been organised by Food for Soul, a non-profit organisation founded by starred chef Massimo Bottura. He has set up a similar project during Rio’s 2016 Olympics. After Massimo Bottura kicks off the cooking, other top chefs will volunteer to manage the kitchen for different shifts. 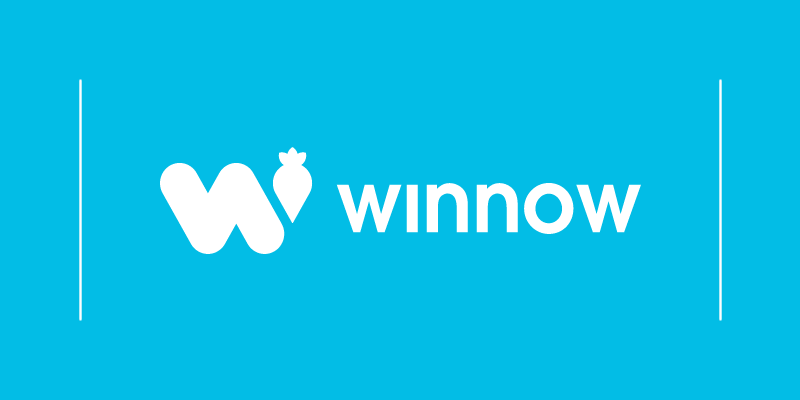 Winnow has partnered up with Food for Soul to help transform the Refettorio Felix into an even more sustainable and unique initiative. The kitchen staff will use the Winnow System to record the wasted items in order to learn the exact amount, when and where the waste occurred. 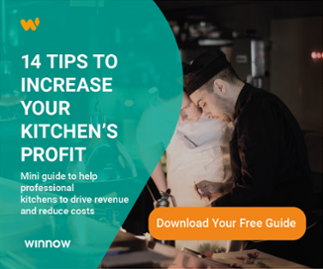 This information will be transformed into a detailed report to give chefs the tools necessary to drive improvements in their production processes to cut food waste. London’s best chefs and food writers in discussion. This event is an exciting Sunday afternoon of interesting conversation, delicious food and great drinks. Best-selling cookbook authors and top chefs will discuss everything from where to eat in Soho at the end of a restaurant shift to how to set up your own supper club. The afternoon starts at 11h30am with a brunch in the Foyles Cafe, followed by 3 panel discussions. A drink tasting session with spirits from the distilleries of London with award-winning drinks writers Joel Harrison & Neil Ridley is set to finalise the day in great style. It’s a feature-length documentary that reveals the scandal of food waste. Through the eyes of top chefs such as Anthony Bourdain, Dan Barber, Mario Batali, Massimo Bottura and Danny Bowien, audiences will see how the world’s most influential chefs make the most of every kind of food. Transforming what most people consider scraps and rejects into incredible dishes that feed more people and create a more sustainable food chain. The film also showcases forward thinking leaders who highlight how each of us can make small changes — all of them delicious — to solve one of the greatest problems of the 21st century. It is an international fundraising initiative, curated by food blogger Clerkenwell Boy and SUITCASE Magazine, to preserve and celebrate Syrian culture amid one of the largest humanitarian crises of our time. The pop-up event during London Food Month is inspired by Imad Alarnab. He is a successful restaurant entrepreneur from Syria, who owned several popular restaurants, juice bars and cafés in his native country. When war broke out, Imad had to flee and leave his business behind. Now living in the UK with his family, he is determined to make his dream of running his own restaurant a reality once more. All the tickets will be donated back to the project that hopes to encourage everyone, to raise money for Unicef’s Syria Relief Fund. The future of food - Where will we be in 2050? The Lambeth Food Partnership Board is hosting an evening of talks and discussion as the audience meet some of the people driving forward futuristic food concepts across the capital. The event will feature four speakers who will take the public on a journey into the future, and fire up our imaginations with possibilities, with opportunities for audience questions and comments throughout. Founded in 2012, Lambeth Food Partnership is an innovative scheme that aims to encourage organisations and individuals to cultivate a healthier and more sustainable food culture. From street food markets to super-exclusive dining experiences. From masterclass to educational talks. From food waste charity events to film screenings. The first annual London Food Month is a must-attend festival not only for foodies but also for professional chefs who are looking to learn more about the capital's food scenes or want to increase their network. Here at Winnow, we believe food is too valuable to waste. We are looking forward to take part in this celebration by helping the Refettorio Felix reduce food waste and raise awareness about the issue. Do you live in London or visiting the city in June? What events are you going to attend during London Food Month? Tell us in the comments below.